Antibiotics Putting You at Higher Risk of Deadly Bacterial Infection? 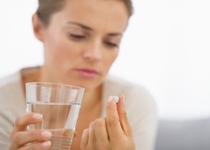 Home » General Health » Could the Antibiotics You’re Taking Be Causing Your Body Serious Harm? Could the Antibiotics You’re Taking Be Causing Your Body Serious Harm? It’s still that time of year; bacteria are making their rounds and antibiotics are being prescribed like crazy. But are you aware that the antibiotics you’re taking—or have taken—could be causing you serious harm? America’s Growing Reliance on Antibiotics Putting Your Health at Risk? Antibiotics are generally seen as wonder drugs. And it’s true; their invention has saved countless lives over the course of history, eliminating disease and making Earth, in general, a safer place to live. Before their existence, human populations were being eradicated at breakneck speed due to easily contractible infectious bacteria. But over time, American culture has become too reliant on antibiotics. Doctors overprescribe them, they are given to livestock, they leech into our water sources, and they are added to countless foods. Because of this, they are becoming less and less effective. Unfortunately, bacteria have been able to adapt, exposing us to increased levels of danger. And although we’re yet to arrive at a tipping point, it doesn’t appear to be far off. The recent report I came across, published by the Centers for Disease Control and Prevention (CDC), indicates that the bacterial strain Clostridium difficile (C. difficile) infected about half a million Americans in 2011. Within the first month of infection, 29,000 people died. Many of these cases were contracted in healthcare facilities or nursing homes, but 150,000 came from the community at large, acquired by people who had not been in a hospital, nursing home, or other healthcare facility. C. difficile is a type of bacteria that is present throughout the environment. It’s in the soil, air, water, and processed foods that surround us, and it is even carried in the guts of some healthy humans. Most humans, however, can become gravely ill or even die if they come into contact with it. How does that happen? C. difficile spreads largely through feces. So let’s say some of the bacteria get onto a surface and touch where your food is prepared (something that can easily happen if your chef doesn’t thoroughly wash their hands). You eat the food, and you get infected. Furthermore, these bacteria can live on a surface for several days, so if they’re on a door handle or countertop and you touch it, you can become infected. Antibacterial cleaners and hand sanitizers don’t work on it either; it can only be washed off with old-fashioned soap and water! Once you’re infected, these bacteria will attack your colon. Inflammation in the colon and “deadly diarrhea” are the symptoms. They are caused by the C. difficile bacteria infiltrating your colon and killing off the good bacteria that are there to defend your health. And this is where the problem of overusing antibiotics comes into play. Antibiotics are great because they kill harmful bacteria. The problem is that they kill helpful bacteria, too. If you’re on antibiotics or they are present in your system, your body is weakened against C. difficile. This is likely a reason why people over 65 are at greater risk; they’ve been exposed to antibiotics for a much longer period of time. To lower your chances and prevent infection, be sure to wash your hands thoroughly with soap and water each time you go to the bathroom, before you eat, and before you prepare food. Regularly clean the surfaces in your home that you touch often, especially the surfaces you use to prepare food. Finally, talk to your doctor about limiting treatments with antibiotics; don’t take them if you don’t really need them, because they could be doing more harm than good. HealthDay News, “Dangerous C. Difficile Germ Infects 500,000 Americans a Year: CDC,” MedlinePlus web site, February 25, 2015; http://www.nlm.nih.gov/medlineplus/news/fullstory_151148.html.